Save Michael Paul to your Collection. Register Now! Michael Paul Miller was raised in central Wisconsin now lives in the Olympic Northwest of Washington. He holds a BFA from University of Wisconsin-Oshkosh and an MFA in from University of Wisconsin-Madison and a. 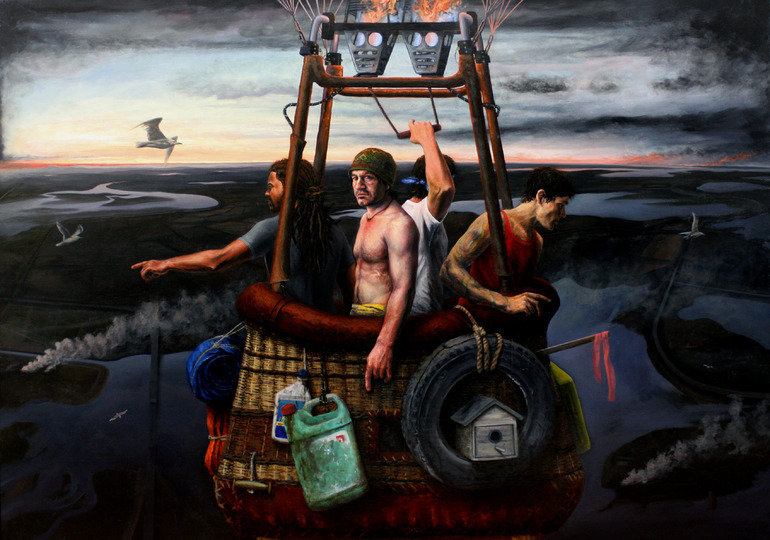 The Salvaged is a series of figurative paintings explores the sublime through a post-apocalyptic theme of emblematic of death, disaster, and desolation. His aim is to do so without abandoning subtle indications of hope and beauty. Since his first solo show in 2003, his work has been exhibited nationwide. In 2009, Miller was awarded Best Artwork by Crosscurrents. 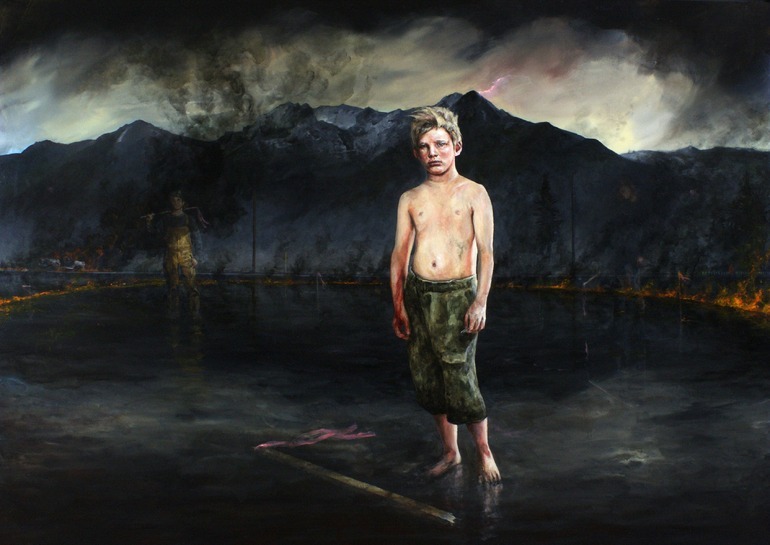 21st century American Gothic paintings...dark, desolate and intense albeit quite good. Interesting to see the transition from 2002 to now, the styles are very different and became more developed throughout the years. Learn Art history, it's the Scapegoat, By Holman Hunt, but the goat is gone & he's replaced it with a young lad. BOZOS!